If you’re looking for that West Coast feel with just a hint of Napa Valley vineyards, then look no further. Cedar Lake Cellars is the place to be. Our more than 370 scenic acres feature an expansive winery along with accommodating event venues for your most important occasions. Conveniently located in the heart of Missouri Wine Country, Cedar Lake Cellars is worth the short ride to experience the area’s serene beauty. The Schreckengast Farm, including surrounding property and various outbuildings, was purchased by Cedar Lake Cellars owner Carl Bolm in 2002. Built in the 1930s, the Big Red Barn opened in 2008 and has become the flagship of the property due to its total original state renovation to a unique private event space. All of the building’s wood structuring was either original or reclaimed from other barns around the area, making it a prime example of the company’s sustainability efforts. 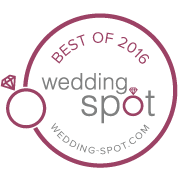 The Barn hosts more than 100 weddings each year plus hundreds of private events including business meetings and special celebrations. It features a formal dining and conference area plus an upstairs bar and billiards loft area. In 2010, Bolm restored another building on the property and opened the wine tasting bar and restaurant. Prior to being restored, it served as a machine shed and storage area.